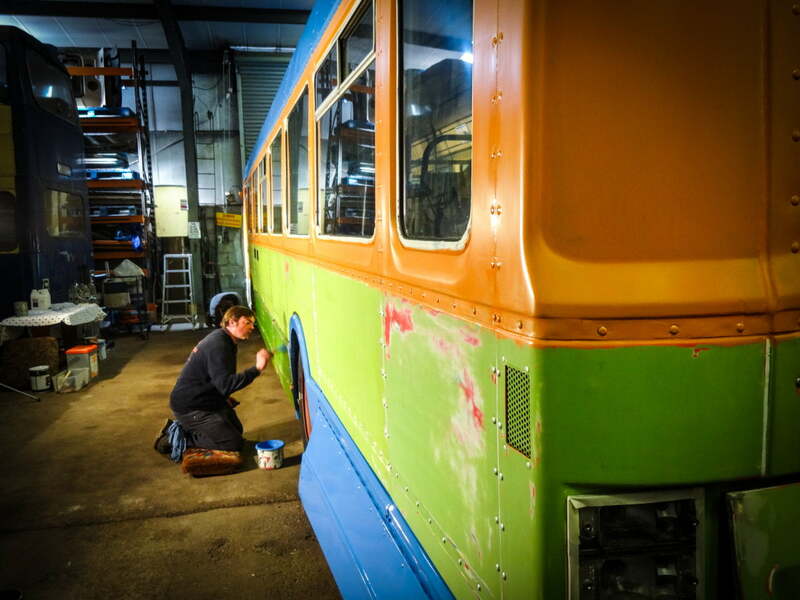 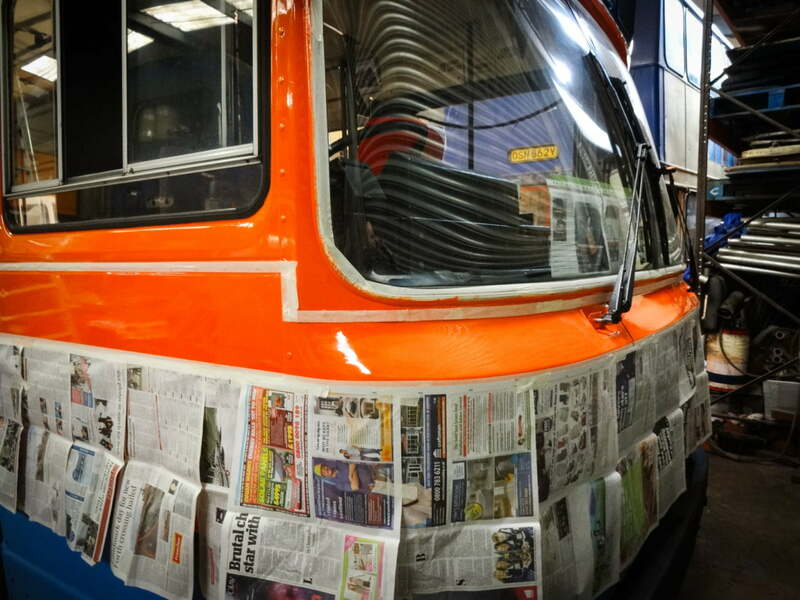 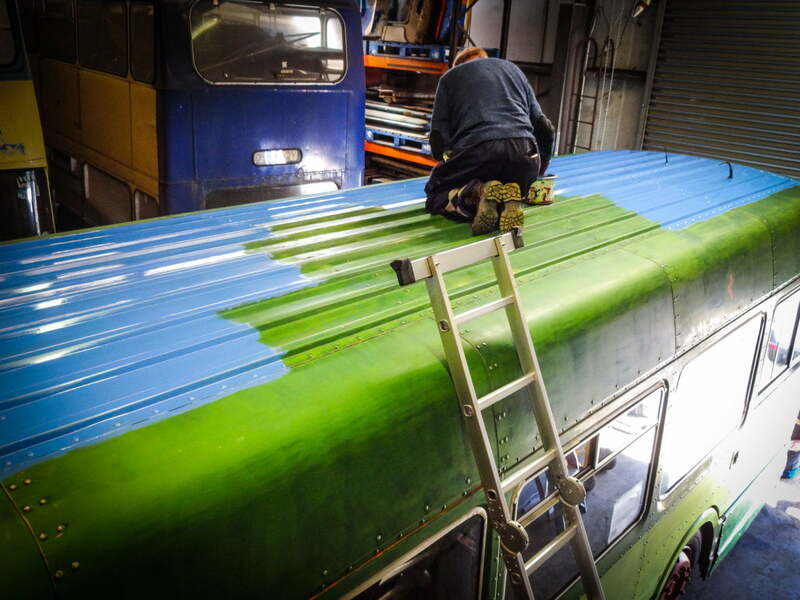 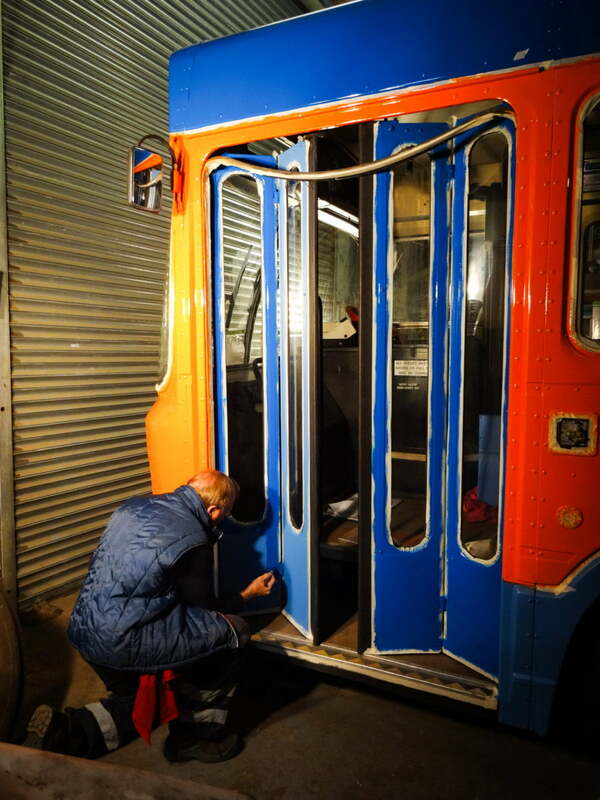 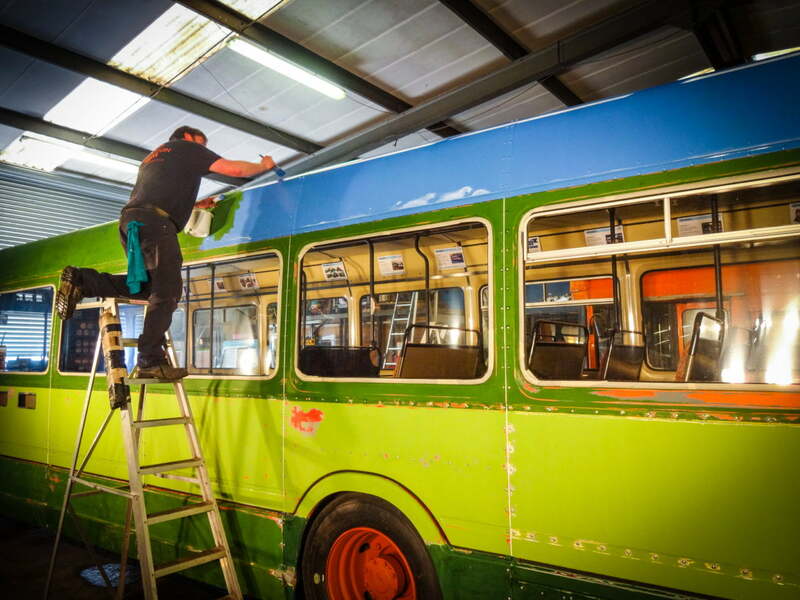 Our roots in coachpainting and signwriting provide the occasional opportunity to clean the brushes and challenge our capabilities, usually for careful restoration of vintage commercial vehicles. 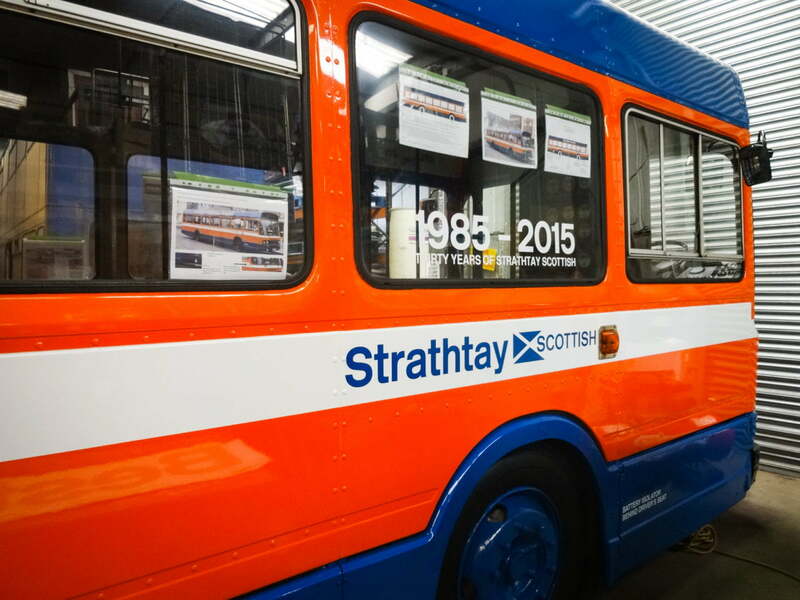 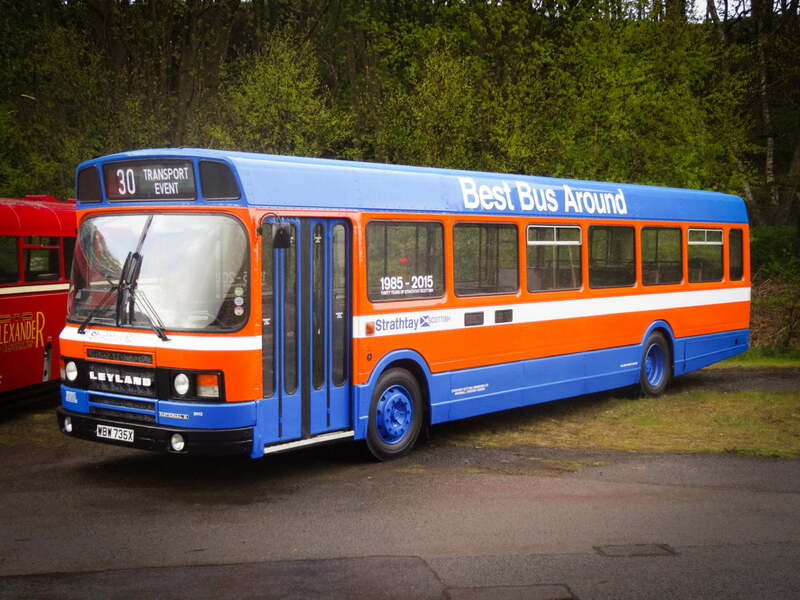 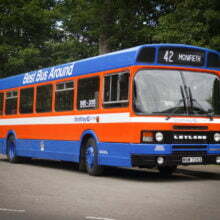 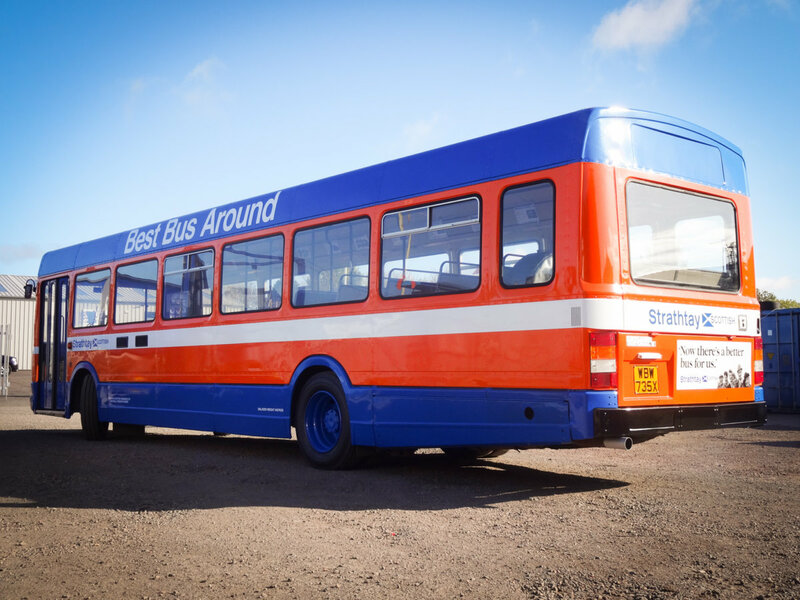 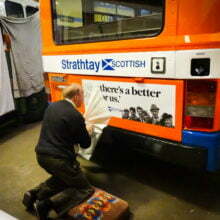 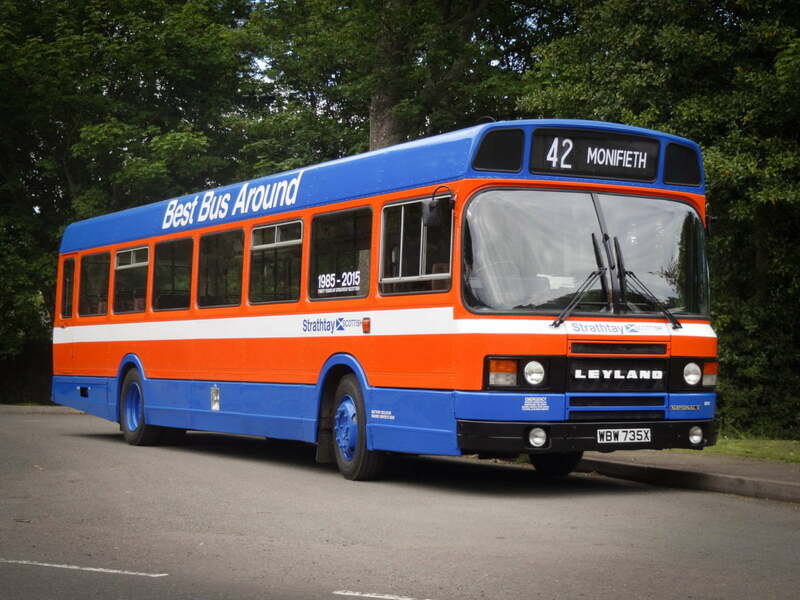 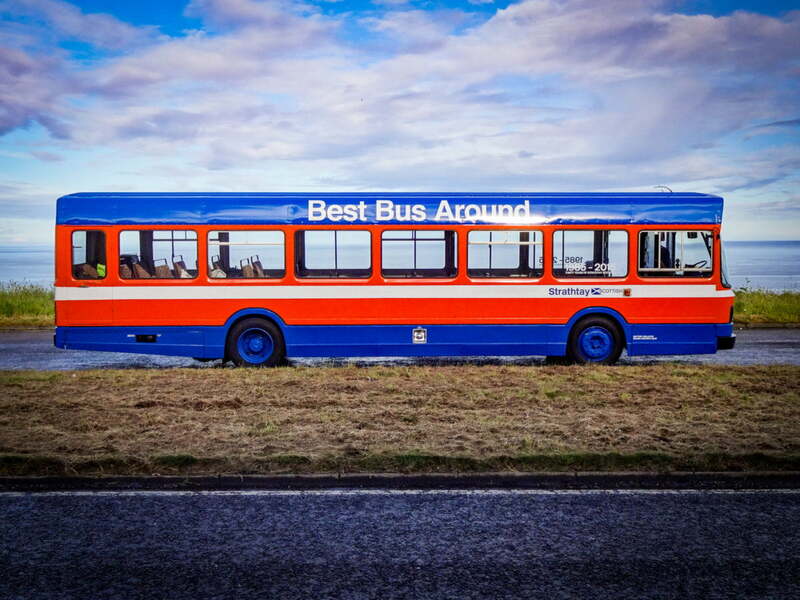 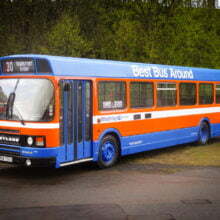 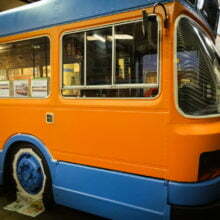 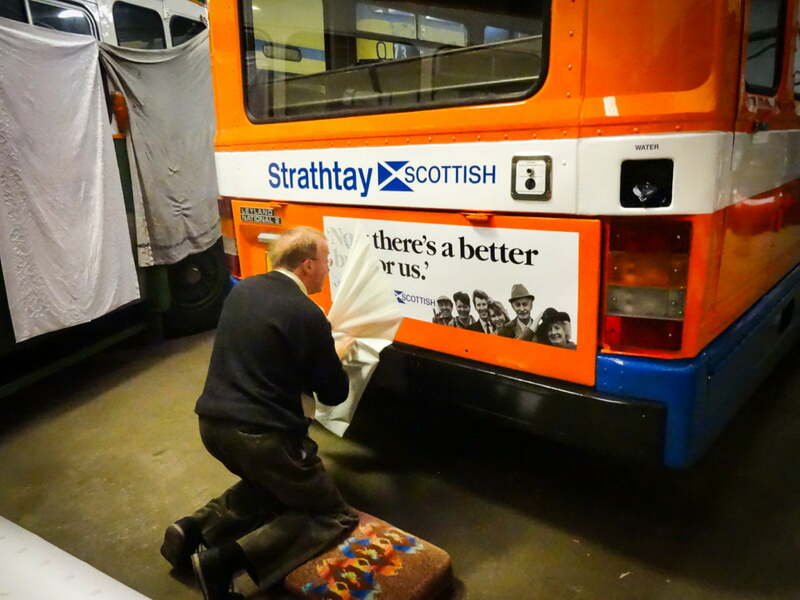 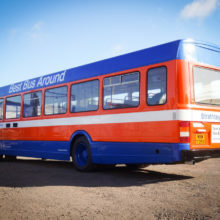 Gordon Low, owner of this 1982 Leyland National, contacted us to collaborate in transforming the bus by brush painting and lettering into the Strathtay Scottish Omnibuses Ltd livery. 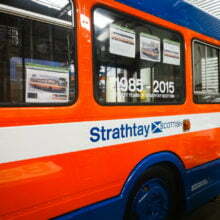 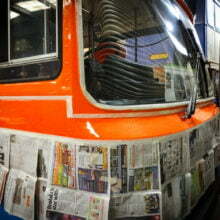 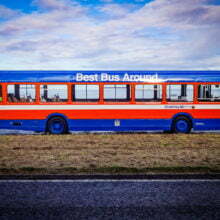 This project was to commemorate the thirtieth anniversary of the former transport company in the north east of Scotland. 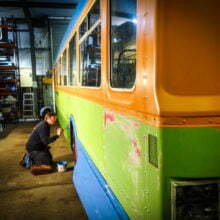 Thankful that all of the prep work: cleaning, sanding, filling, etc. 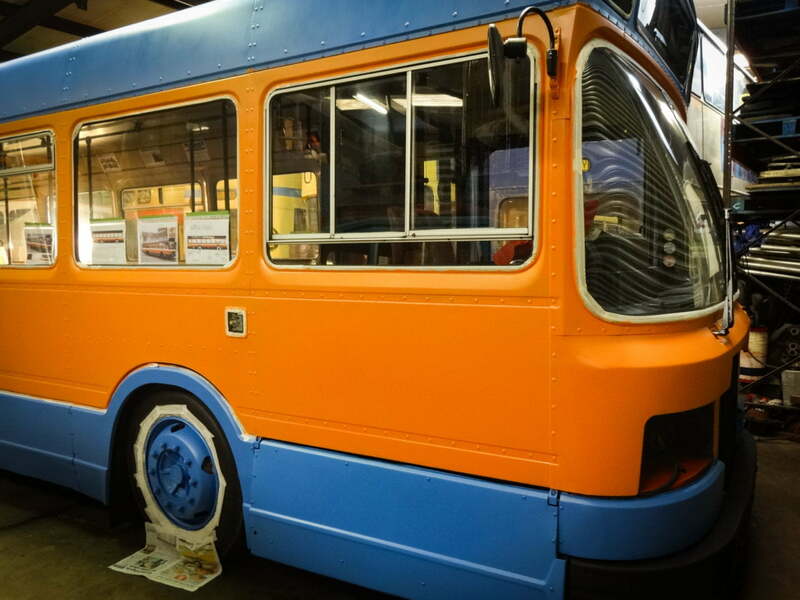 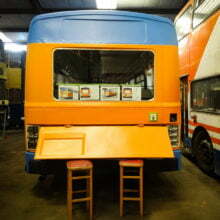 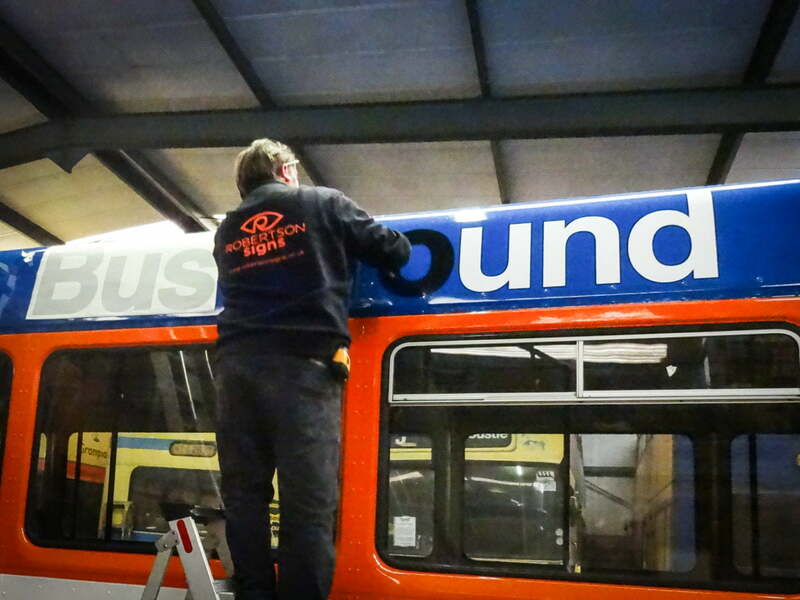 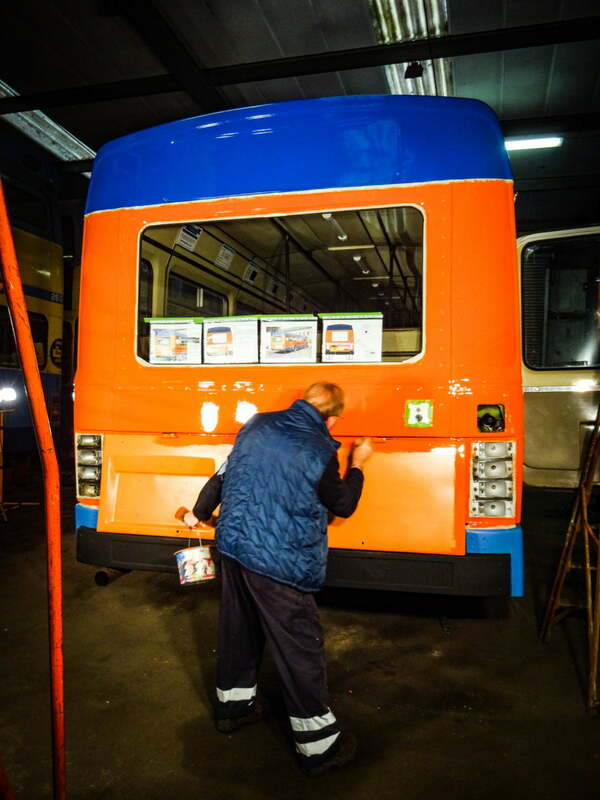 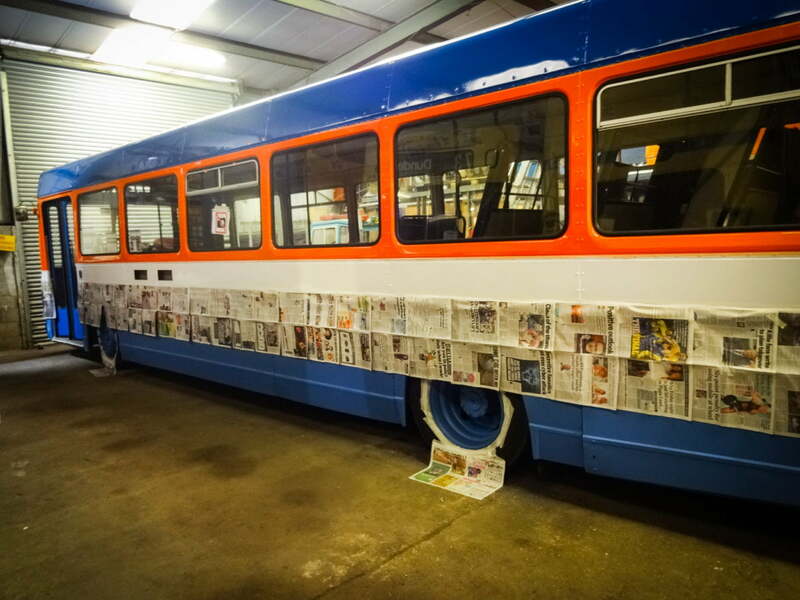 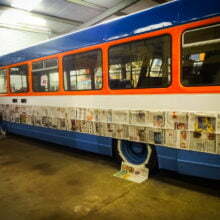 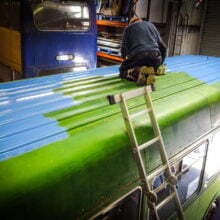 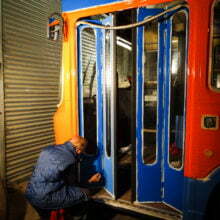 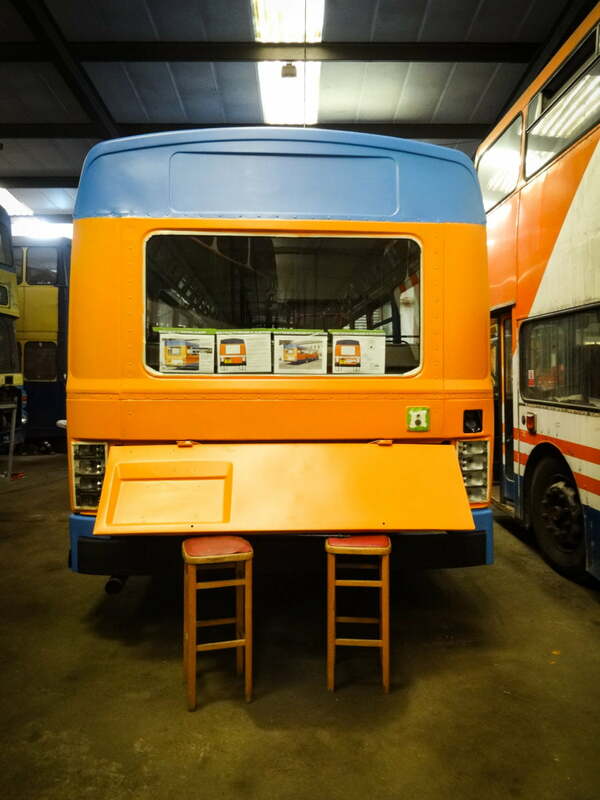 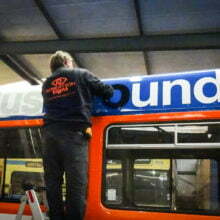 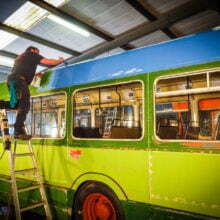 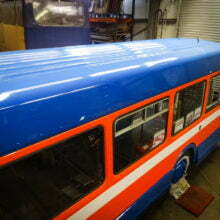 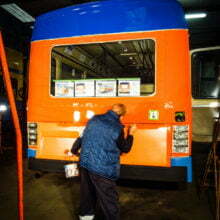 had been accomplished, we were tasked with the entire painting of the bus panels before re-lettering in vinyl, as close as possible to the original livery. 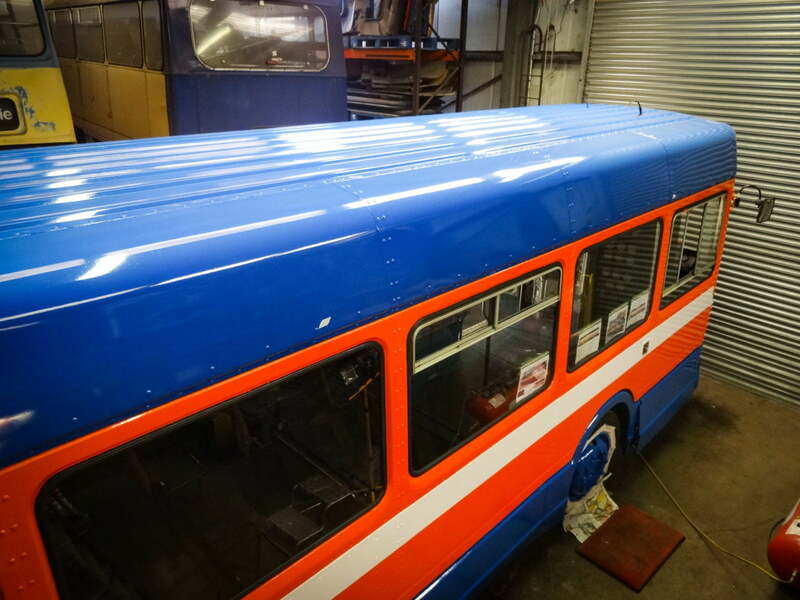 Several coats of paint were applied to dazzle not only passers-by but judges too when it won the Roland Williams award for the best bus at the Scottish Vintage Bus Museum’s Running Day at Lathalmond.